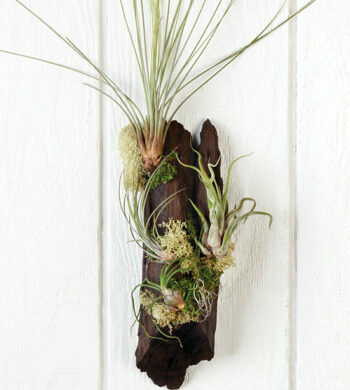 Enjoy the exotic beauty of orchids in an imaginative new way. 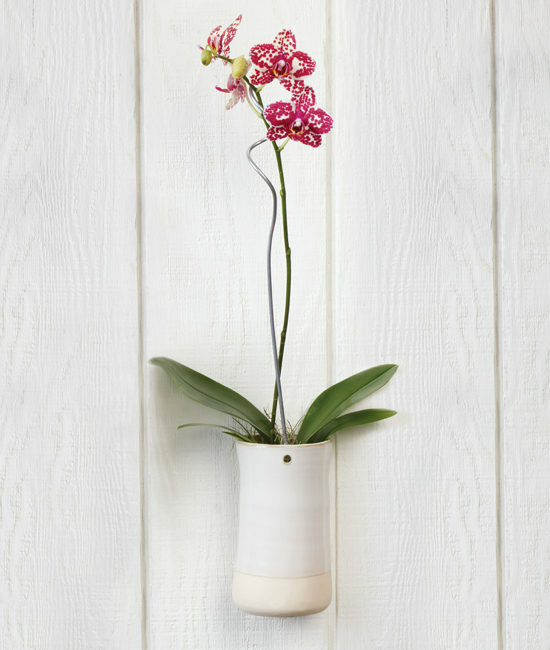 Our pristine phalaenopsis orchid plant is nestled in a chic ceramic vase designed to hang on a wall or tabletop. Ideal for housewarming, get well, the holidays, or any occasion. Place your plant in an area of low, indirect sunlight. To water, put a half-cup of water in the center of the bromeliad known as the “cup.” Next, water the soil with another half-cup of water. Good drainage is essential and will help to prevent root rot. 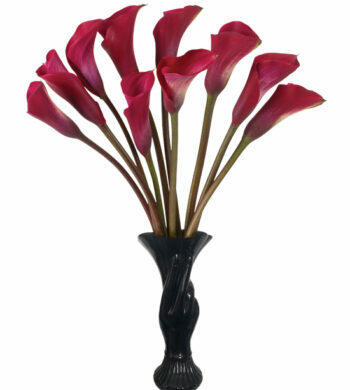 Avoid excessively hot or cold areas however it is tolerant to higher temperature conditions. Your plant will enjoy an occasional misting too.